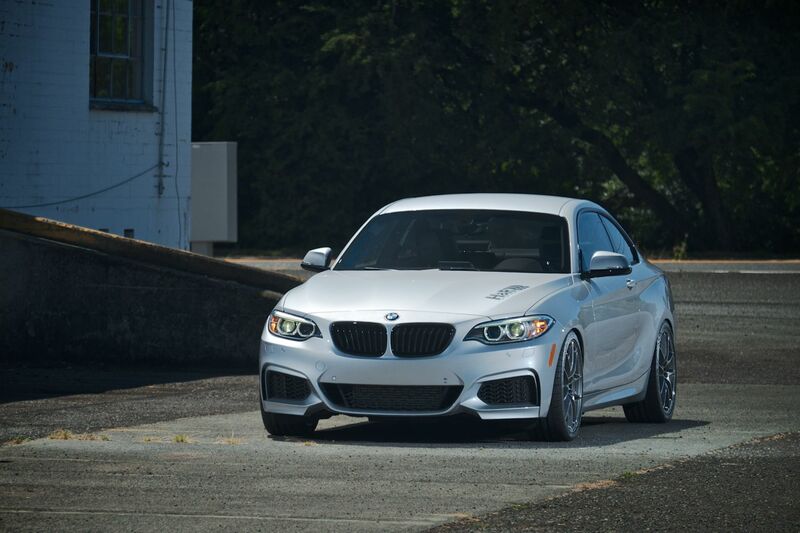 H&R 2014 BMW 228i M Sport Coupe | H&R Special Springs, LP. 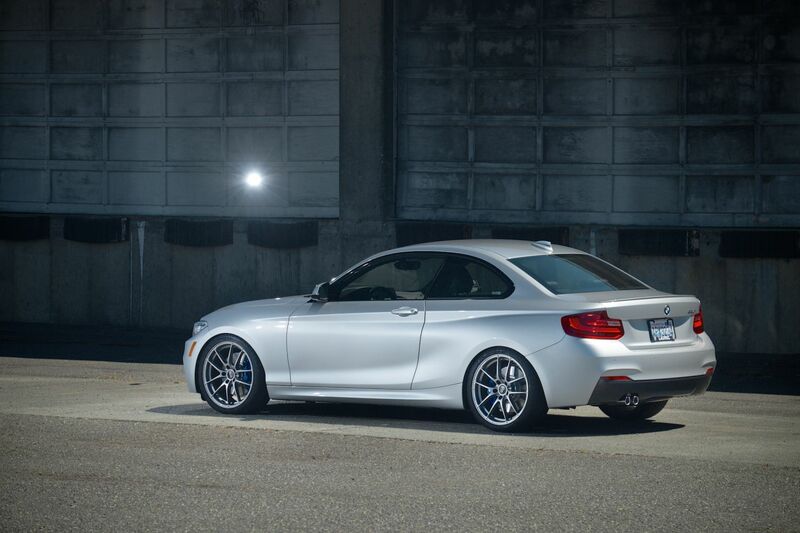 The new BMW 2 Series (F22) is the coolest coupe around; in fact it is two times cooler than any other. 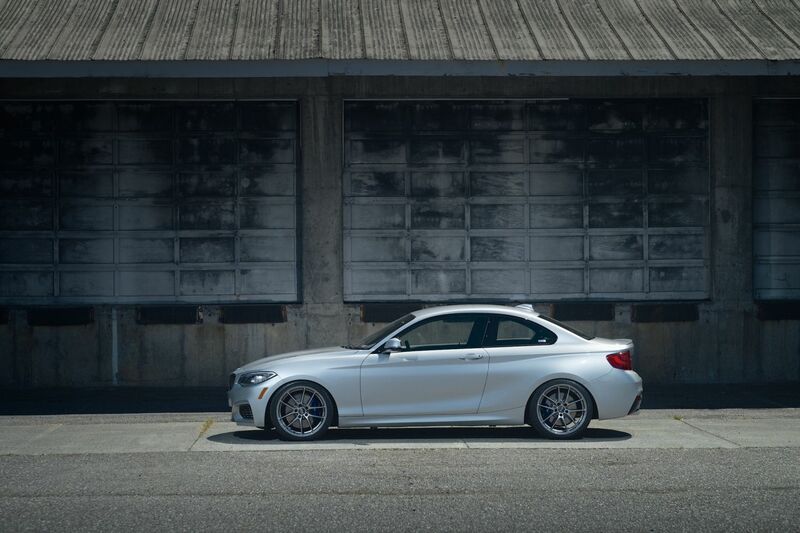 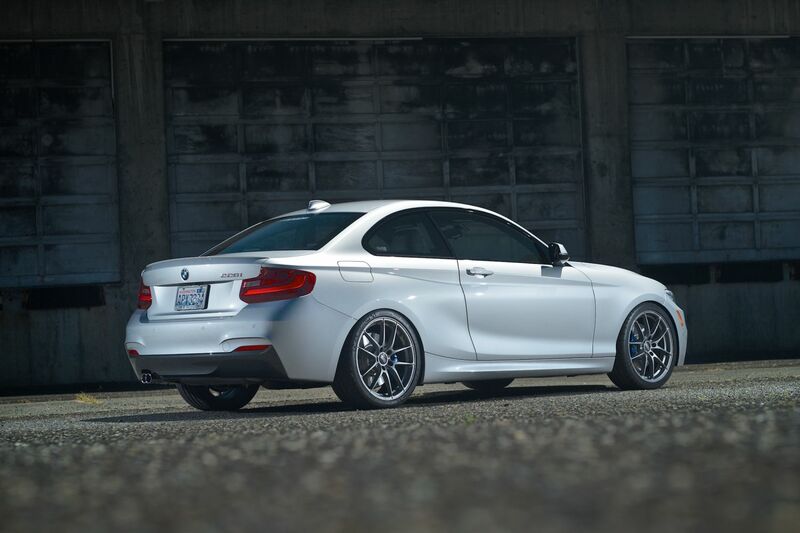 The H&R 2014 BMW 228i M Sport is perfect showcase for this fun-size sports coupe. 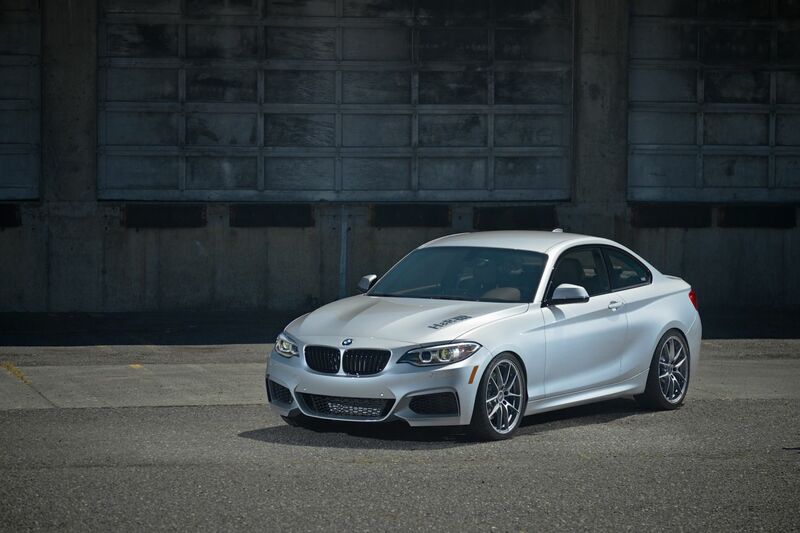 Our project began with a call to Pat Womack at Laurel BMW of Westmont, IL to order up a Glacier Silver Metallic coupe – because what color is cooler? 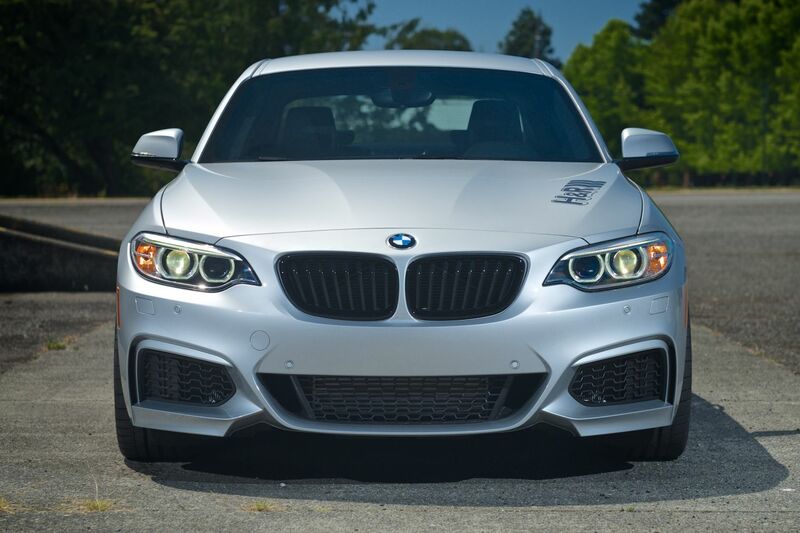 Upon arrival in Bellingham, WA, the master tuners at H&R Special Springs went to work. 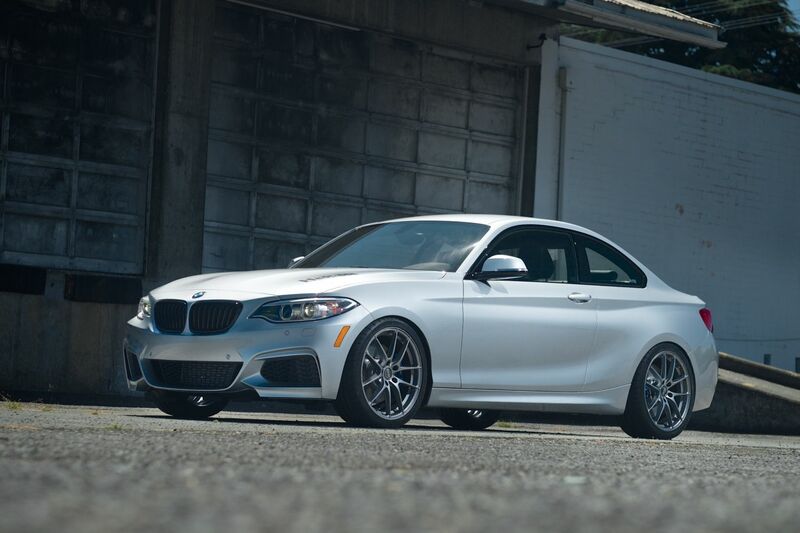 H&R Sport Springs were installed lowering the chassis 1.0” front and .80” rear for both an enhanced look and a performance feel. 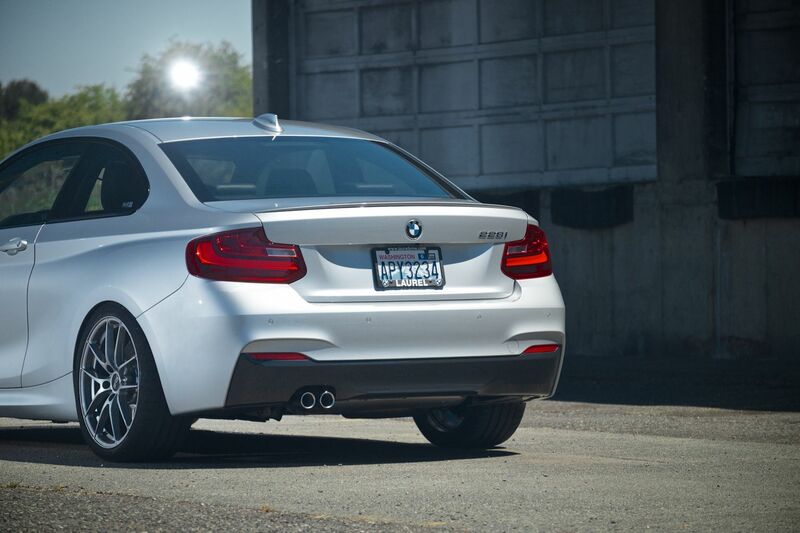 Lightweight 19’’ O.Z. 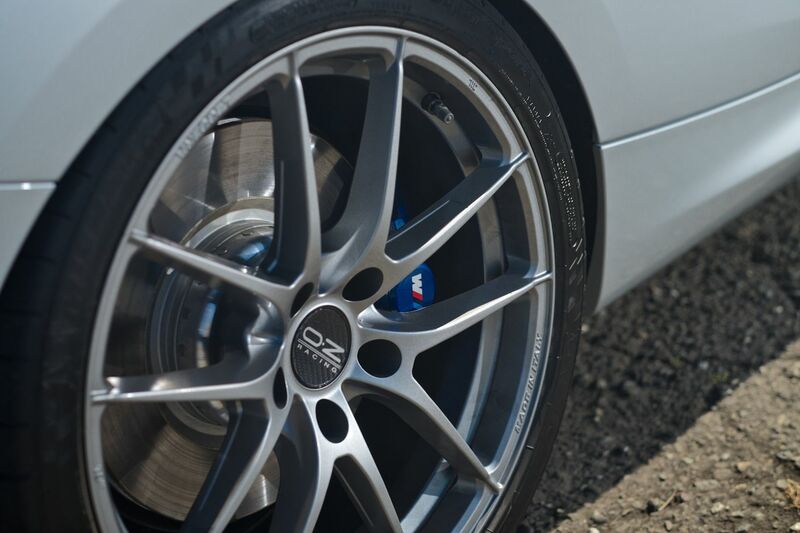 Leggera HLT wheels and Michelin Pilot Super Sport tires were supplied courtesy of the Tire Rack. 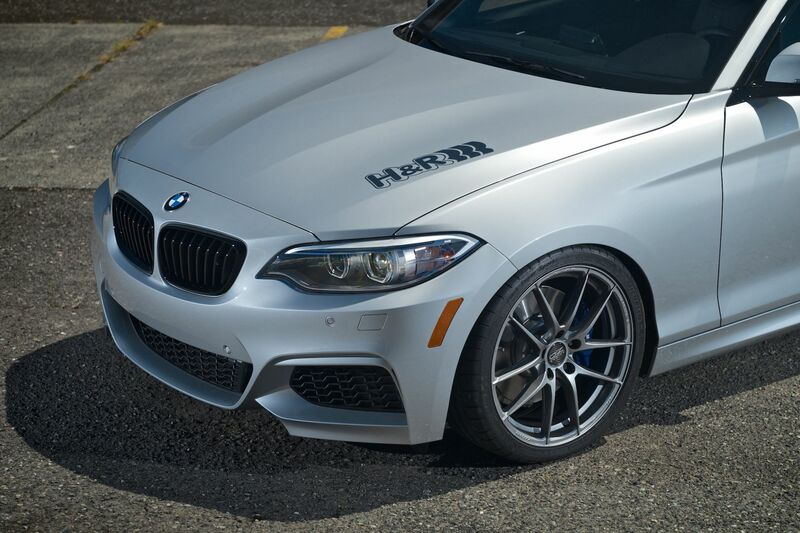 The Michelin Pilot Super Sport tires, size 235/35R19 front and 245/35R19 rear, fill the BMW wheel wells flawlessly. 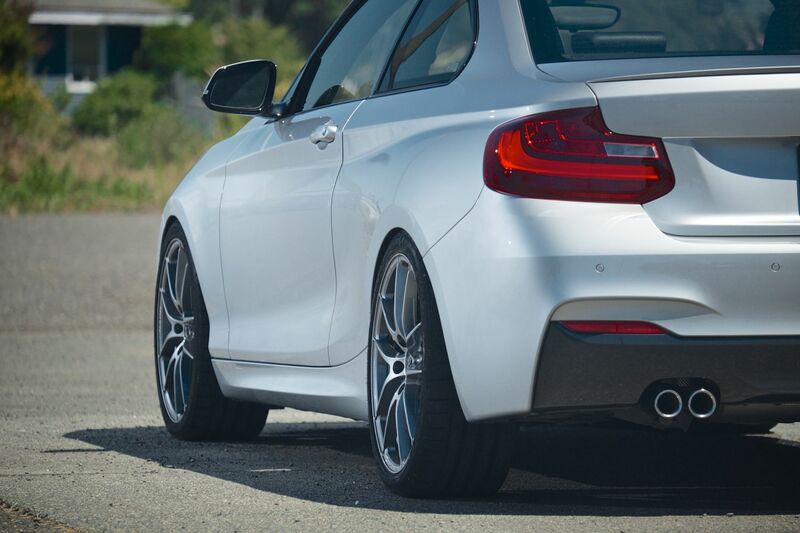 Inside, the interior features WeatherTech® FloorLiner™ DigitalFit®, accurately and completely lining the interior carpet giving “absolute interior protection™!” Digital laser measurements of the interior surfaces offer a consistently perfect fit. 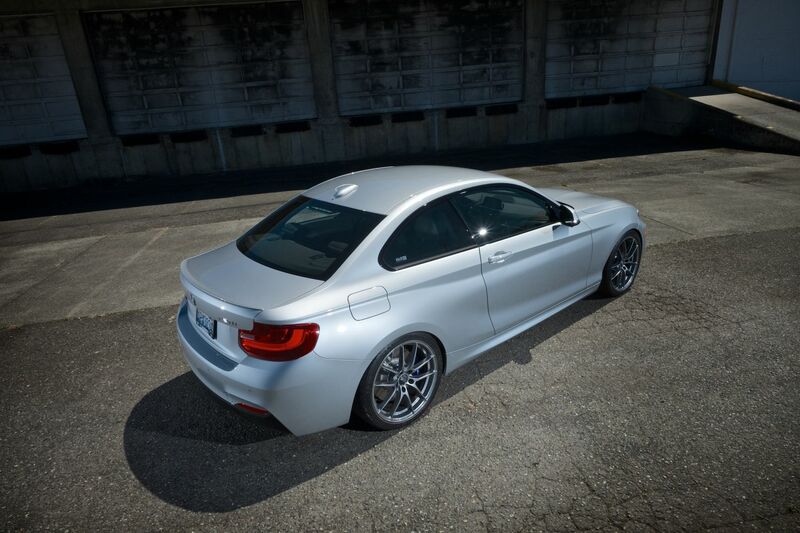 They look great and keep the 228i interior carpet looking brand new. 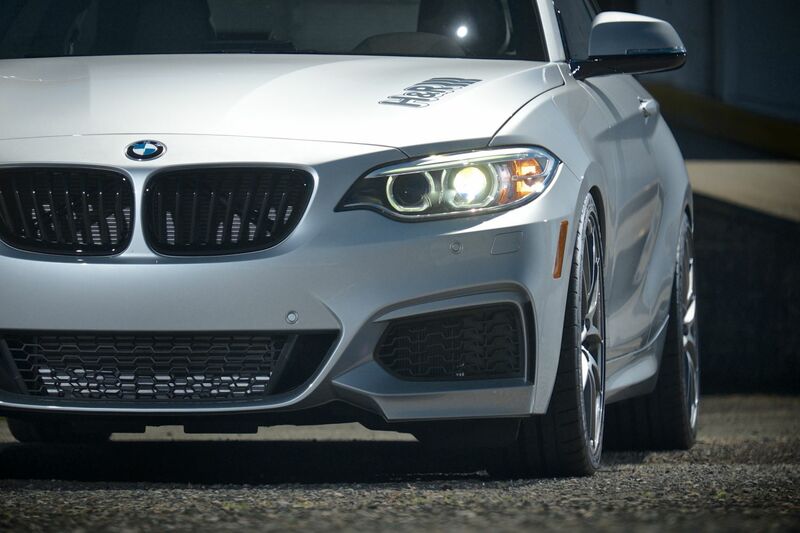 A BMW M Performance Carbon Fiber Brake Handle with Alcantara Boot adds to the M Sport theme.